CE020A HP 771 DesignJet Printhead delivers the high quality that's expected and meets fast turnaround times. 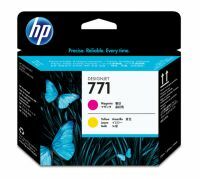 HP DesignJet printheads help you respond quickly by providing quality, speed and easy, hassle-free printing. 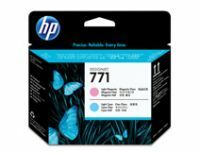 To Recieve updates and possible rewards for Hewlett Packard (HP) HP 771 Photo Black-Light Gray Designjet Printhead please sign in. To Recieve updates and possible rewards for Printer Cartridge, Ink & Toner please sign in.